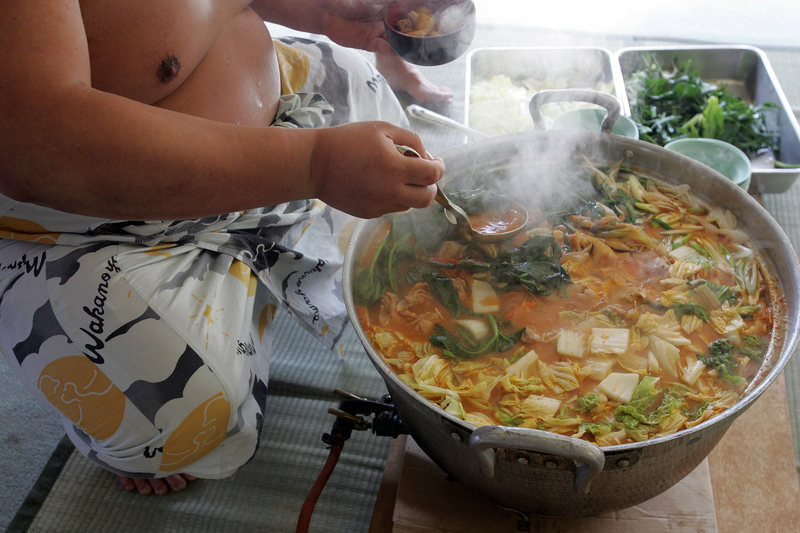 Sumo wrestlers want a weight advantage. 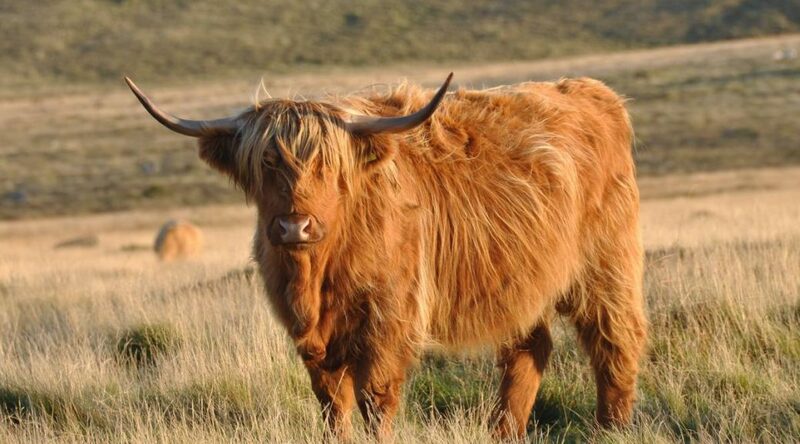 They average over 400 pounds and work to keep that bulk. 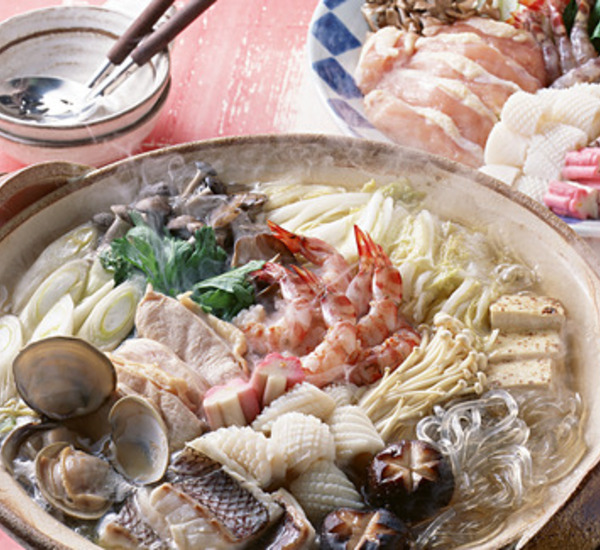 They do it by eating Chanko Nabe almost every day. 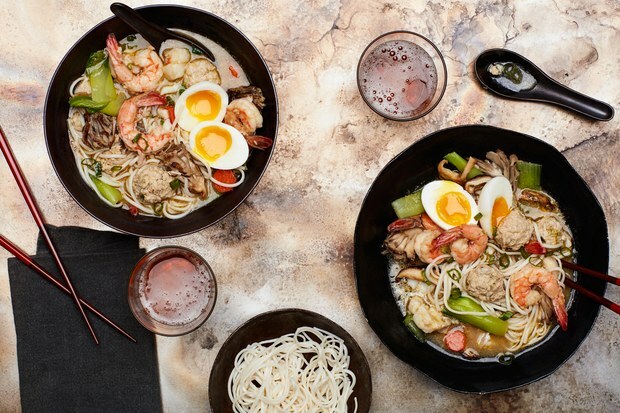 It’s a sort of stew or hot-pot with lots of protein, a delicious broth and varying ingredients. In itself it’s not particularly fattening but in the quantities that it’s eaten, plus lots of beer and a nap after each meal, it does the job. 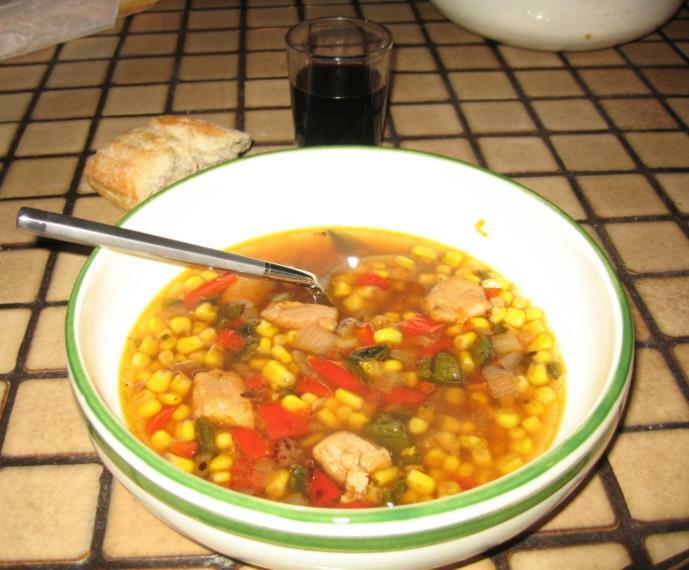 Navajo Corn Soup (with a twist) This recipe calls for salt pork. I replaced it with pancetta. 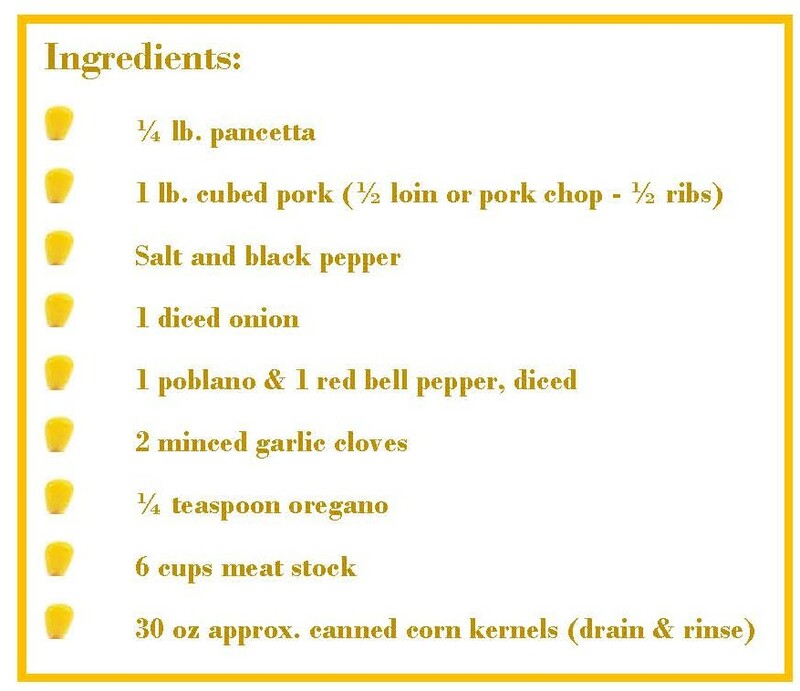 Cut the pork into bite sized pieces, season and brown it with the pancetta. Do this in batches so the meat browns and doesn’t steam. If there are any bones, brown then too. 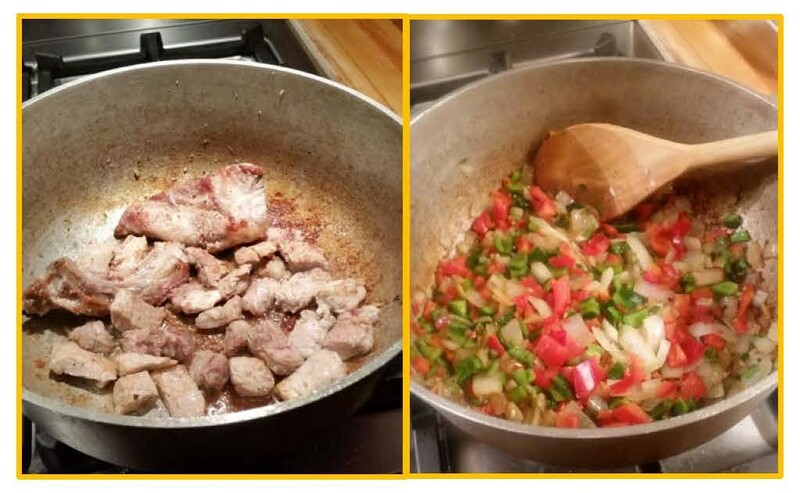 When done, remove the meat and sauté the onion, add peppers, garlic & oregano and cook until softened. Return meat to pot. Add stock and simmer covered for 1 hour. Remove any bones, taste and adjust seasoning. Stir in corn a few minutes before serving. 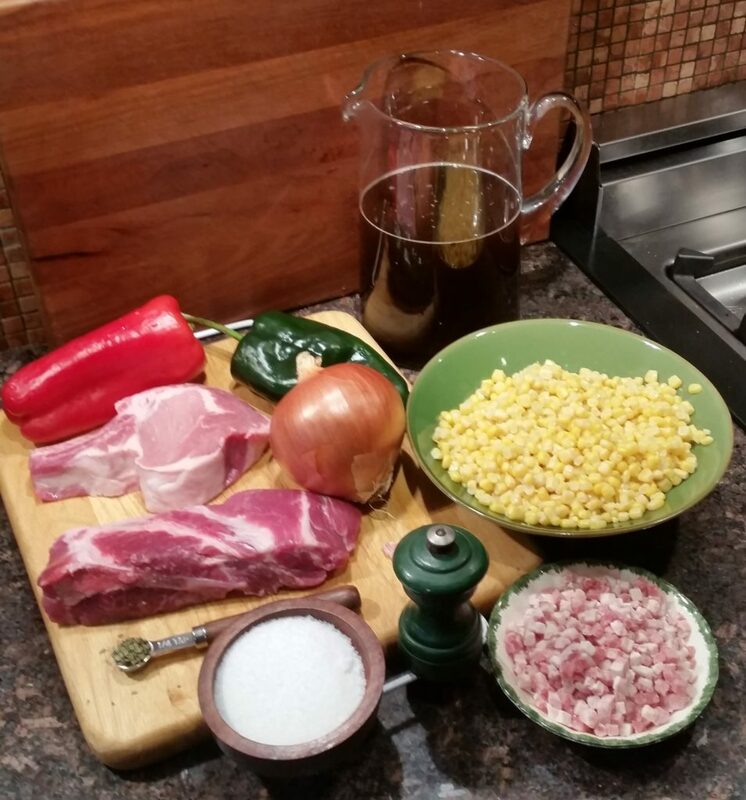 If you’re using dried whole corn start with 1 and 1/2 cups. Wash it thoroughly, soak overnight, drain when ready to use. 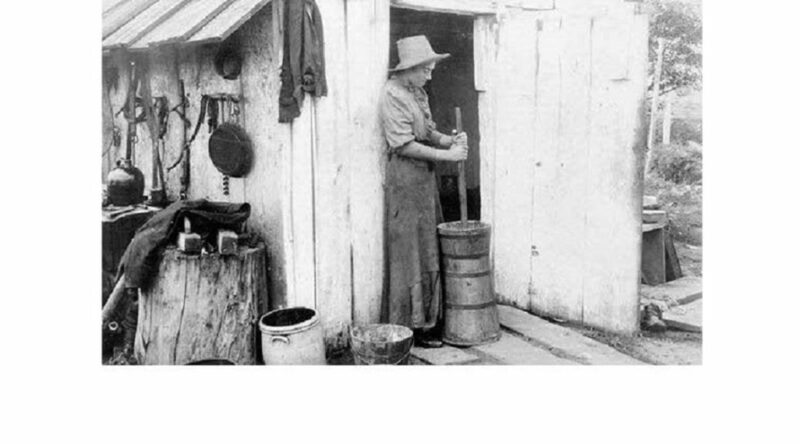 Boil dried corn until tender – about 3 and 1/2 hours in 6 cups water. 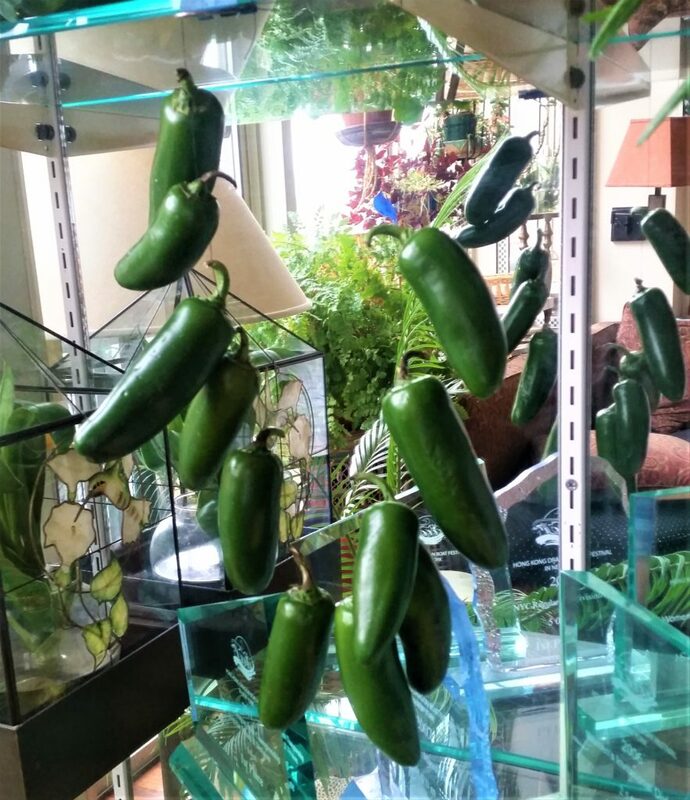 Hang the jalapenos someplace where there is good air flow. 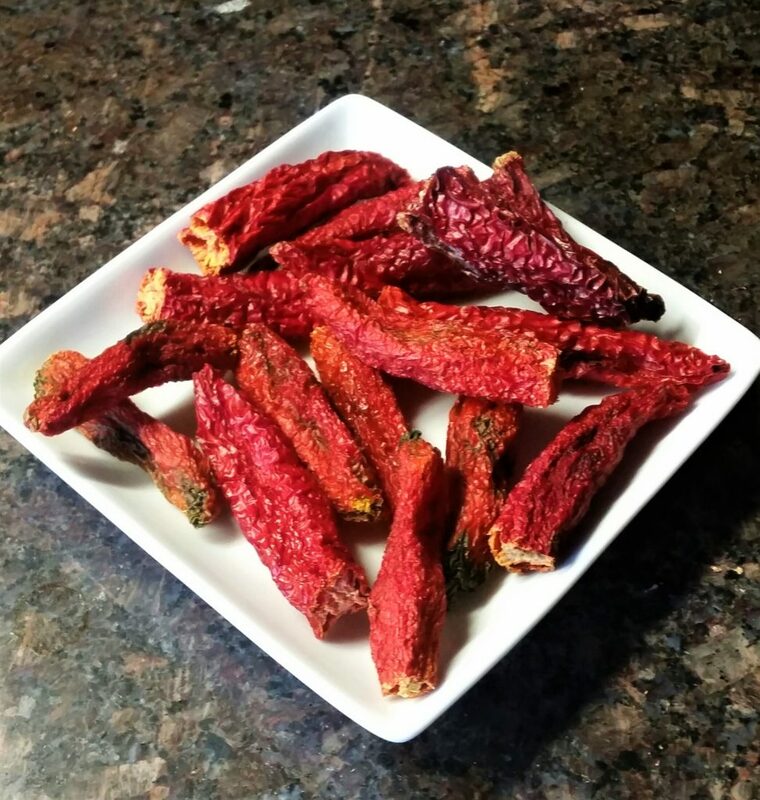 They don’t have to be in the sun to be sun dried. 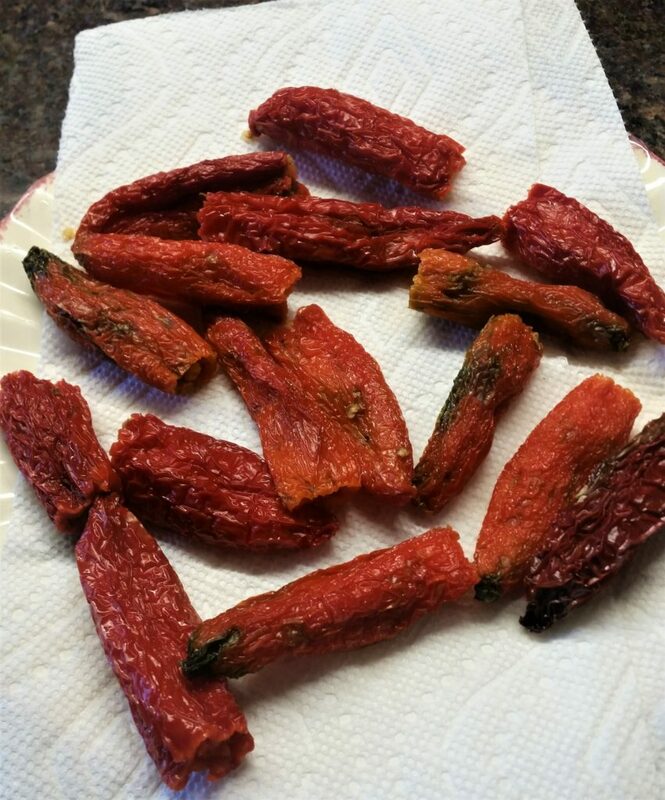 Depending on the weather, after a couple of weeks when they become hard and red, they’re done. Cut off the stem end and place them in boiling water for 5 minutes. Drain them, pat them dry and lightly press them to squeeze out as much water as you can. 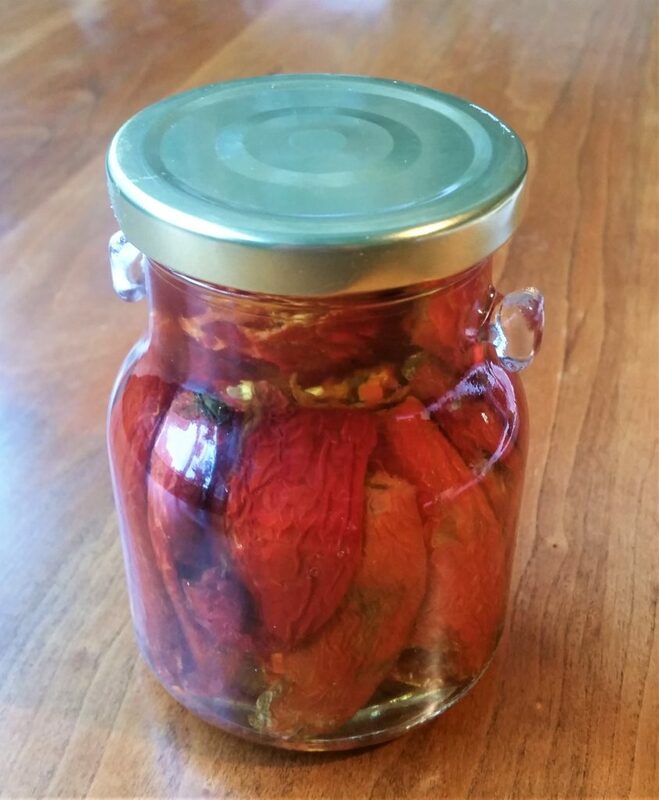 Let them continue to dry for 60 minutes and then place them in a jar. Fill the jar with olive oil, close tightly and shake. This will release some air bubbles. Add more oil and refrigerate. They’ll be ready to eat in a week. 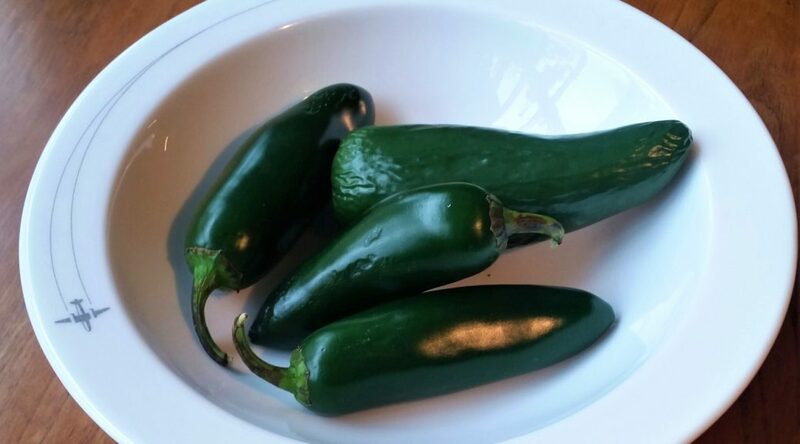 Start by roasting the jalapenos on an open flame. 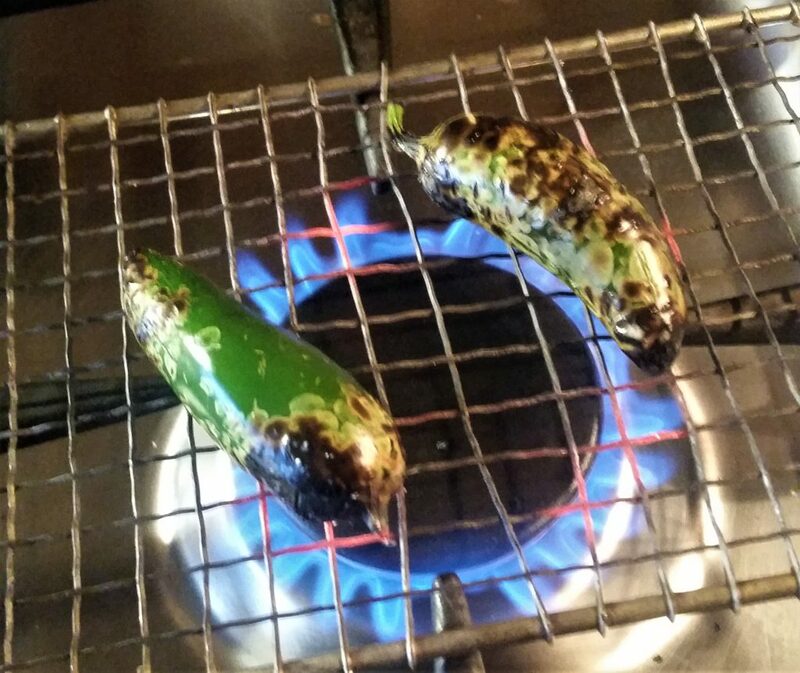 First, they’ll blister and then blacken – keep turning until they’re done. 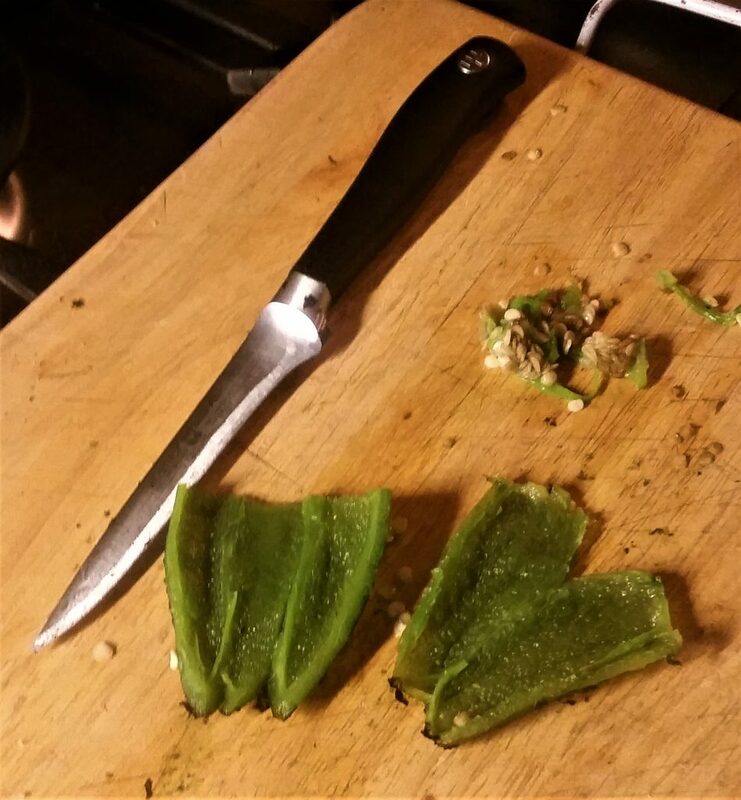 Scrape off the blackened skin with the back of a knife and cut off the stem end. Some specs of black might remain and that’s OK. Don’t be tempted to rinse them. You’ll wash off the flavor. Slice them open and scrape out the veins and seeds. 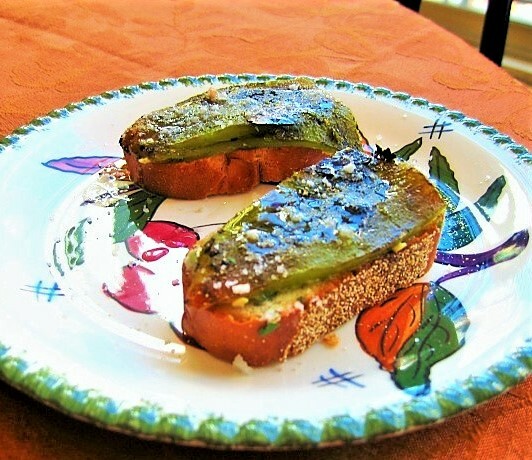 Put them on a slice of bread, a few drops of olive oil and a sprinkle of sea salt – done. 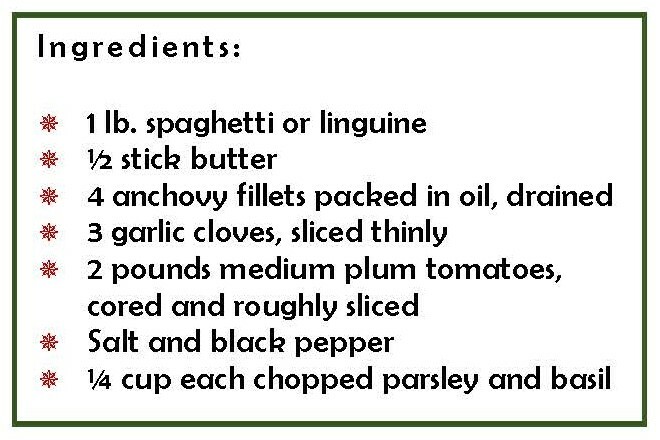 My mother would have let the family starve before she’d combine butter instead of olive oil with tomatoes for pasta sauce. 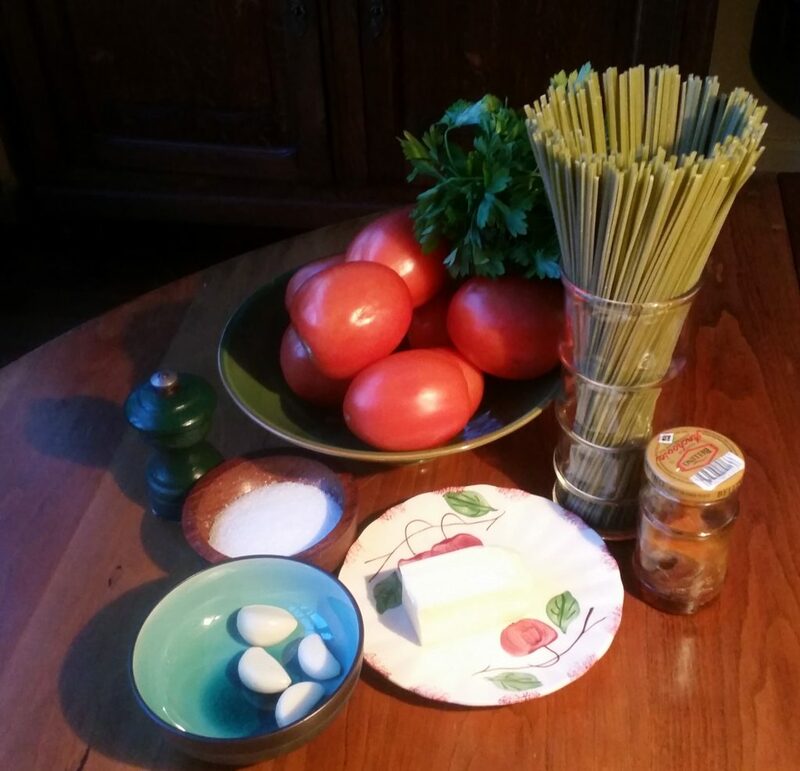 Tomato and Anchovy Butter Sauce? I try to keep an open mind. Here’s my cover of Bon Appetit’s recipe and it’s not bad at all. Lightly cook the anchovies and garlic in the melted butter until the anchovies dissolve. Add the tomatoes and cook until they soften. 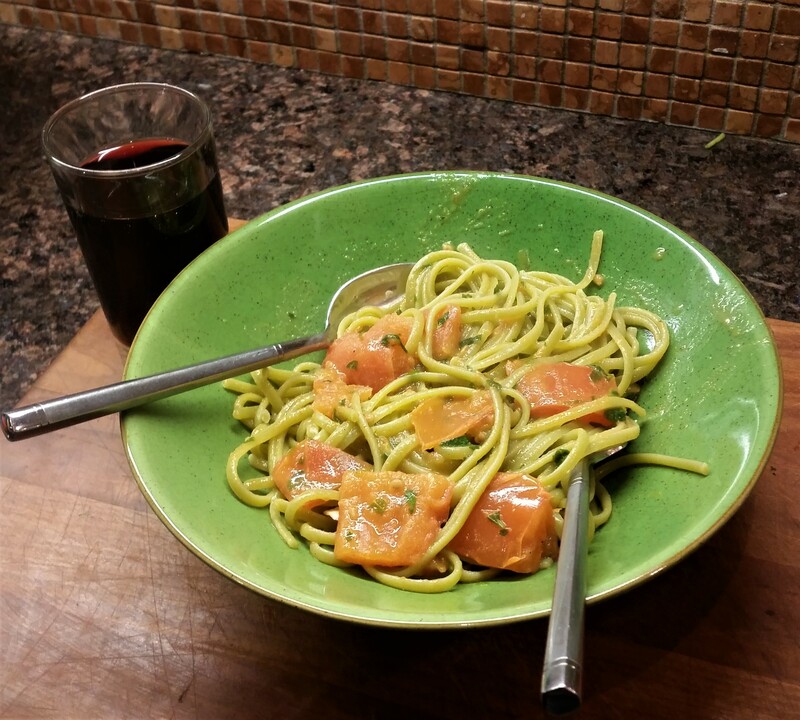 When the pasta is almost done add it to the sauce to finish cooking. Add the chopped herbs and mix just before serving. 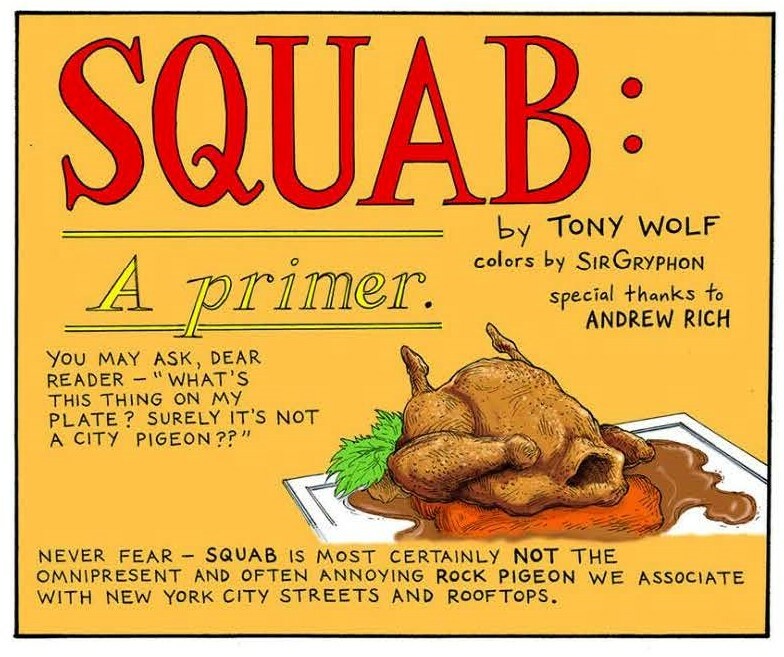 The New York Times Food section just did an interesting illustrated article called – Squab: a Primer. According to Wikipedia – squab is a young domestic pigeon, typically under four weeks old. . . 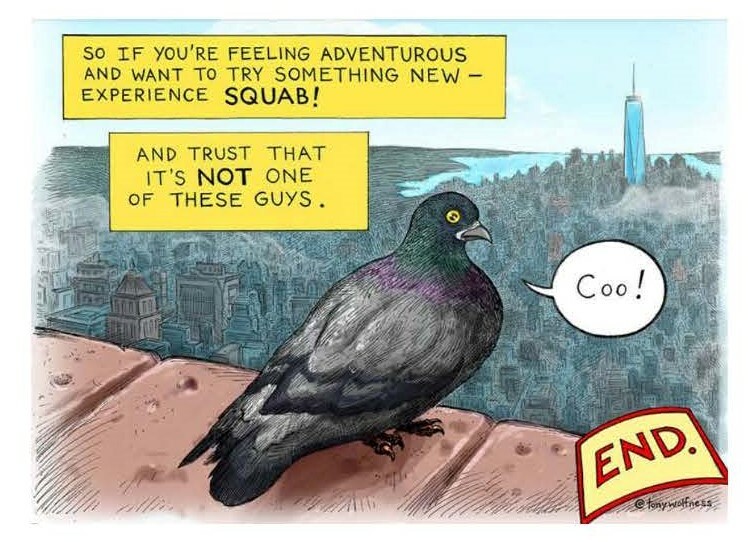 It formerly applied to all dove and pigeon species. 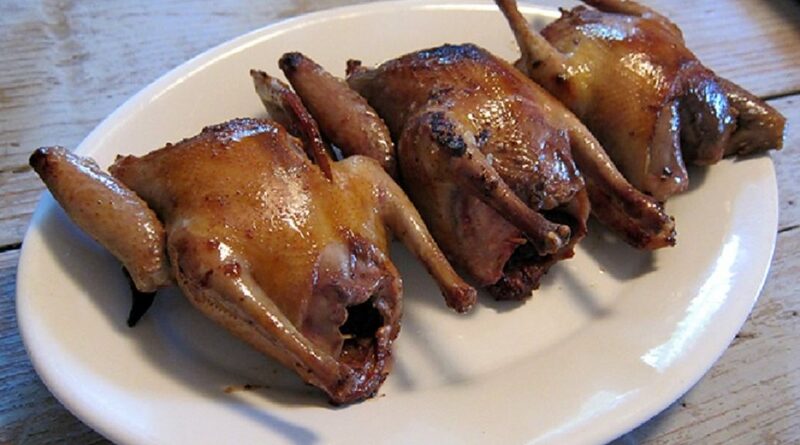 . . More recently, squab meat comes almost entirely from domesticated pigeons. 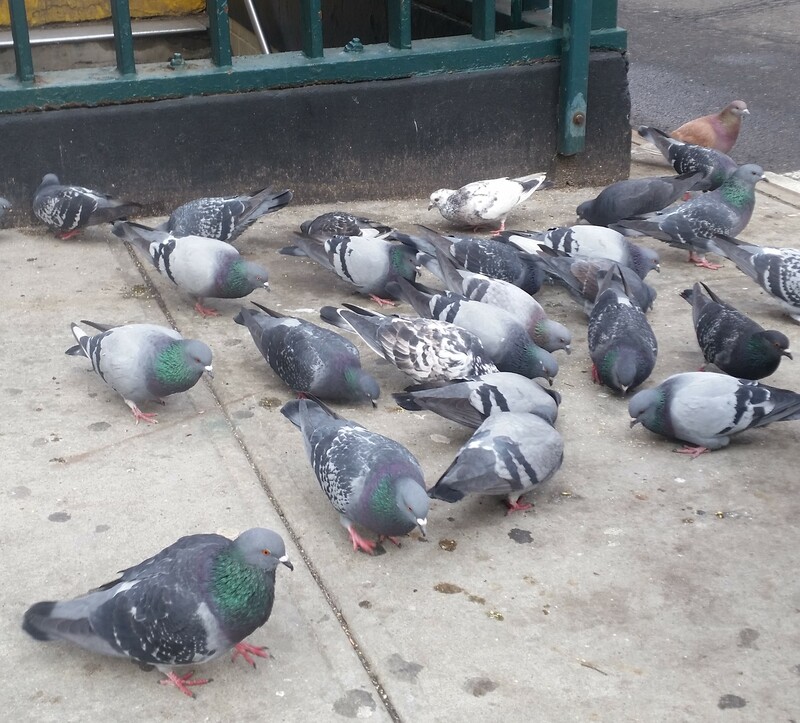 There’s more to pigeons than the ones raised for food and the others you see on city streets. Some people race them as a hobby. 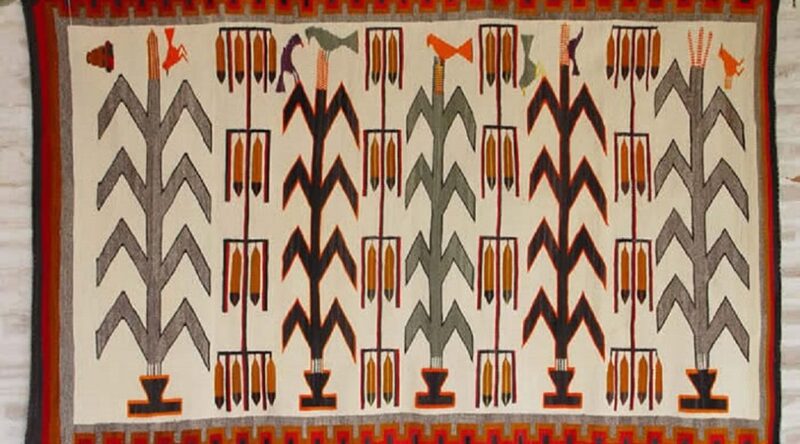 There’s also the sport of triganieri that originated in Modena and is still practiced in New York today. And others just like the look of the fancy pigeon breeds. 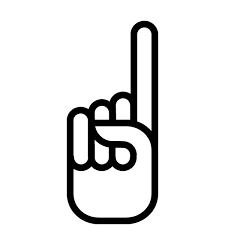 A pigeon can fly as high as 6000 feet, at an average speed of 75 mph and cover 600 to 700 miles in day. They’ve passed the ‘mirror test,’ – the ability to recognize themselves in a mirror. They are one of only 6 species and the only non-mammal able to do that. These facts apply to the ones you eat as well as the ones in the street. This is definitely worth a look if you interested in Chinese cooking. Even if you’re not, the recipe illustrations are something special. 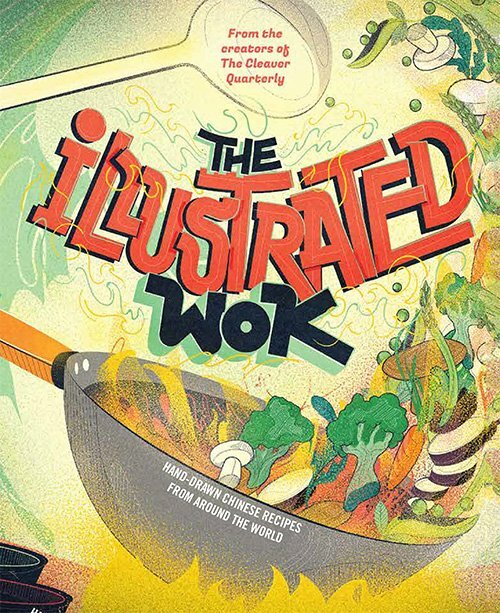 The Illustrated Wok, a new print collection of hand-illustrated Chinese recipes from 40 chefs around the world. 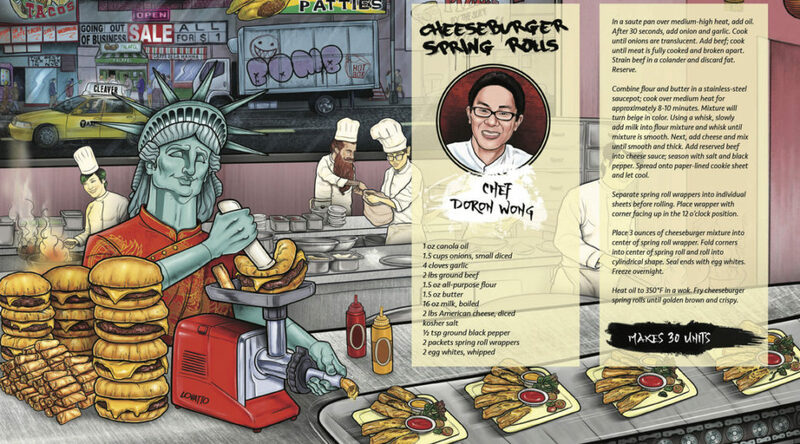 The book pairs each chef with an artist who produces striking and frequently surreal interpretations of the recipe. Preheat oven to 350°. 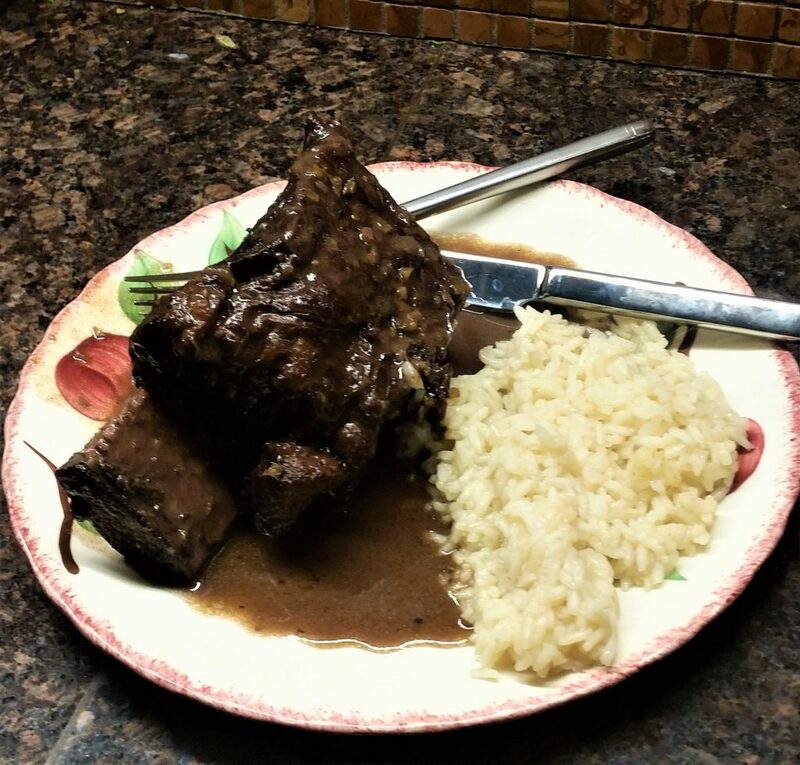 Season ribs with salt and black pepper. Heat oil in a large Dutch oven over medium-high heat. 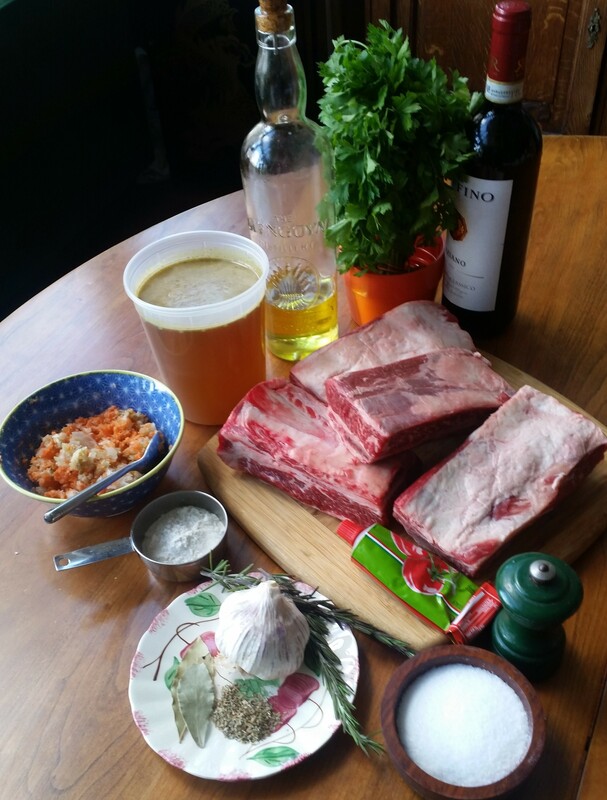 Working in batches, brown short ribs on all 6 sides. Transfer ribs to a plate. 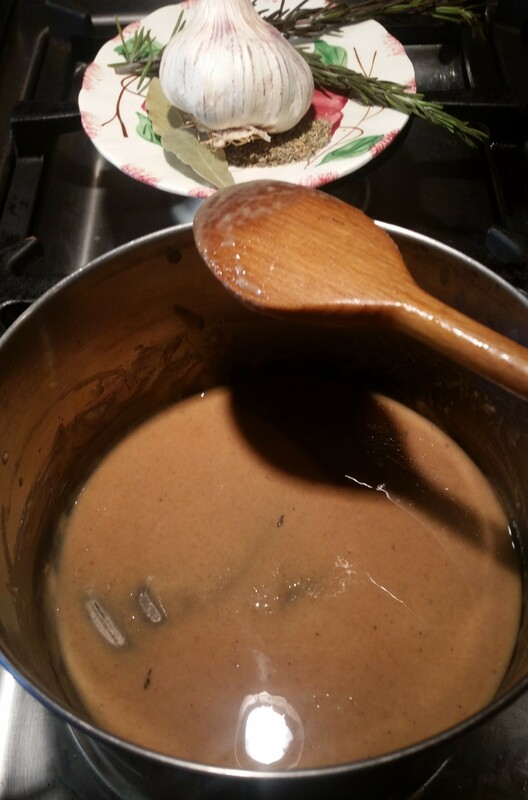 Pour off all the drippings from pot and return 3 tablespoons to the pot and use 3 for the roux. In separate pot add 3-4 tbsps. drippings and 3 tbsps. flour to make the roux. Then add the tomato paste to the roux (don’t tell any New Orleans chefs that you’re doing this). 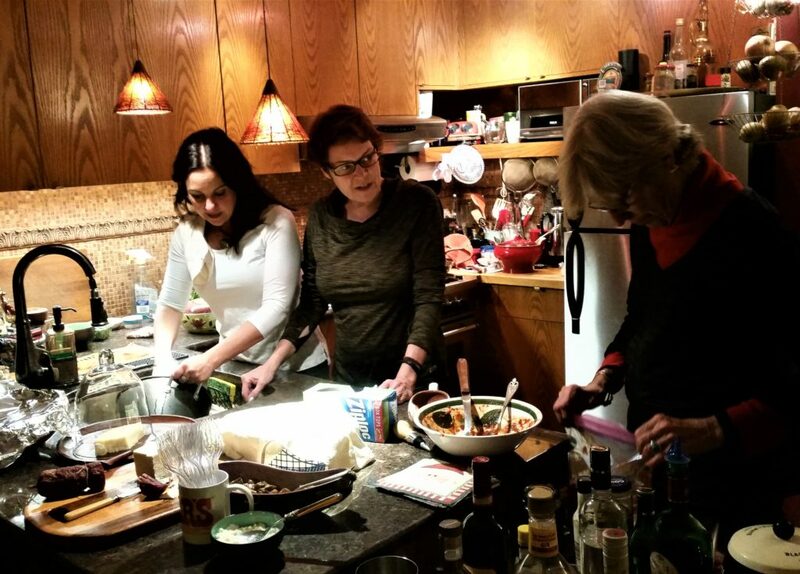 If it’s too dry add some more drippings or wine. 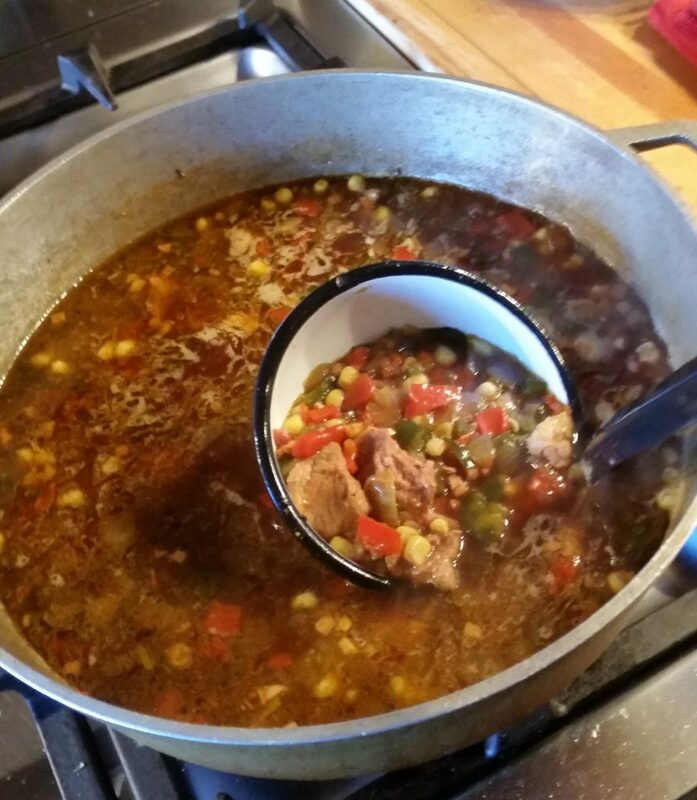 Add trinity to Dutch oven and cook over medium-high heat, stirring often, until lightly browned. Add the roux and cook, stirring until well combined. 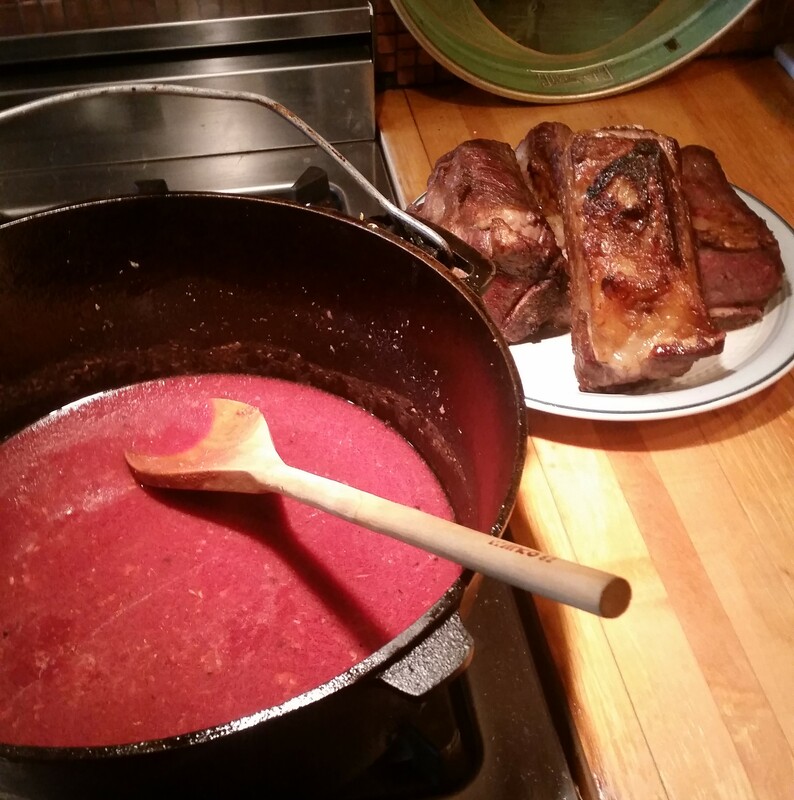 Stir in wine, then add ribs bone side up with any accumulated juices. 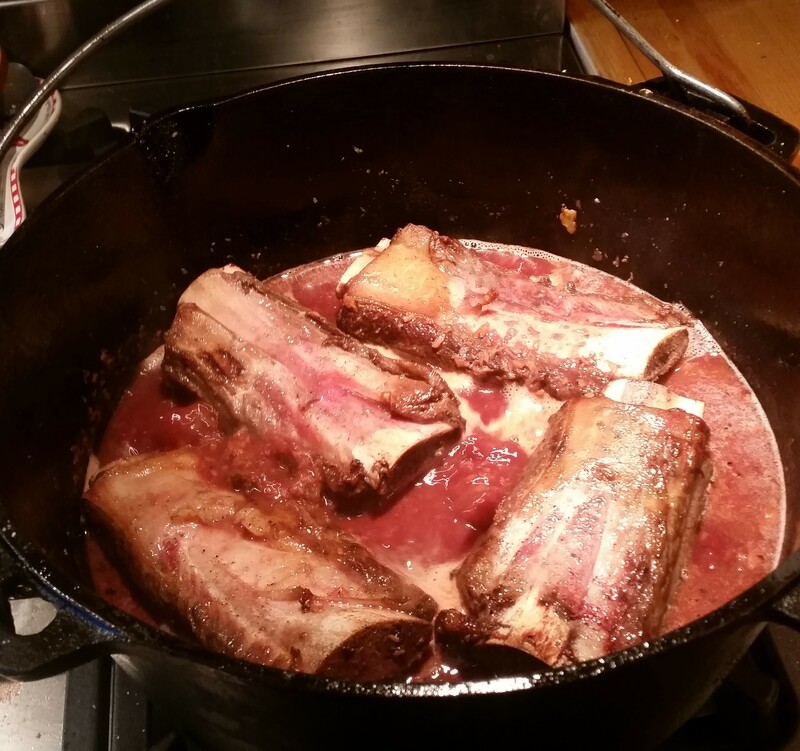 Bring to a boil; lower heat to medium and simmer until wine is reduced by half, about 25 minutes. Cook until ribs are tender, about 1 hour 45 min. Transfer ribs to a platter. 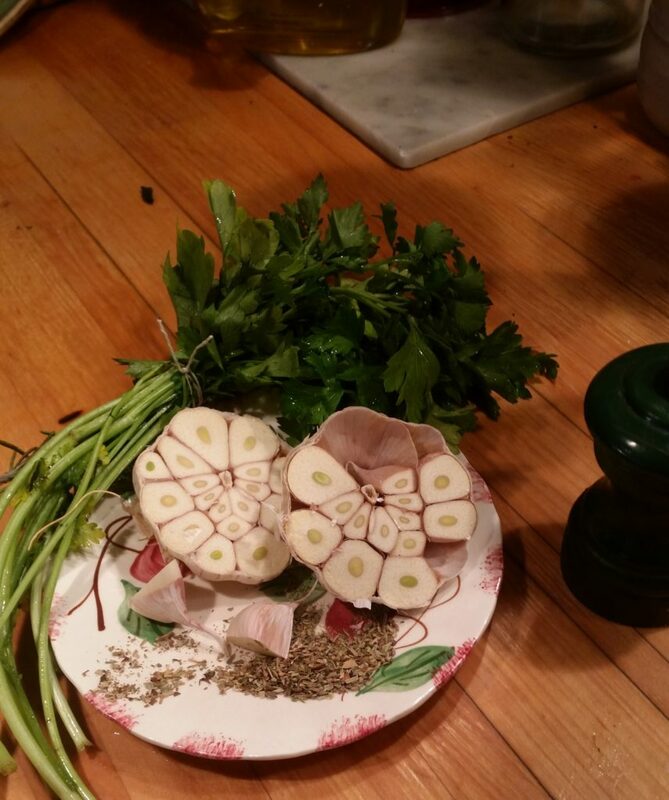 Strain sauce from pot or remove herbs, garlic, onions, etc. with a spider. Mix 2 tbsps. flour with a little cold water and add to sauce. Stir until it thickens and then whisk in 2 pats of butter. Pour the sauce over the ribs and serve. 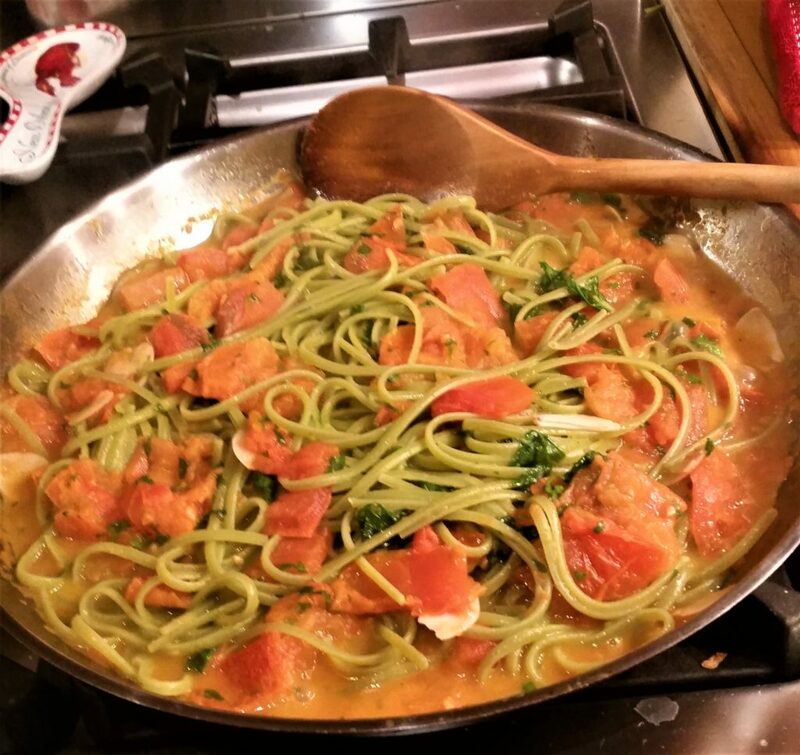 This is good with rice, spätzle or pasta. 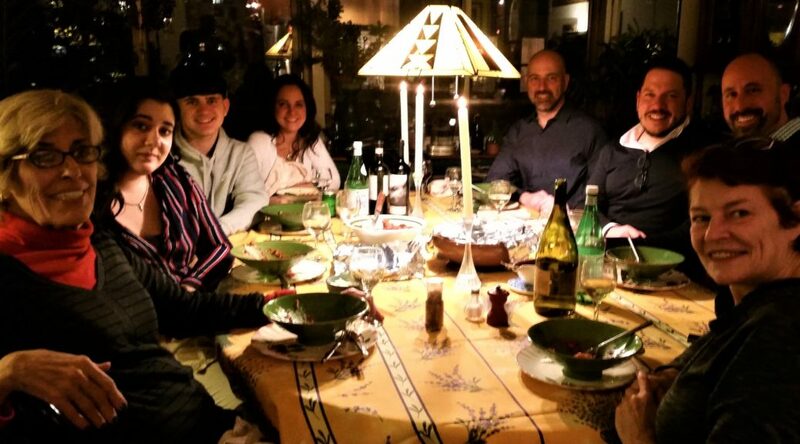 A family dinner – click on the links for the recipes. 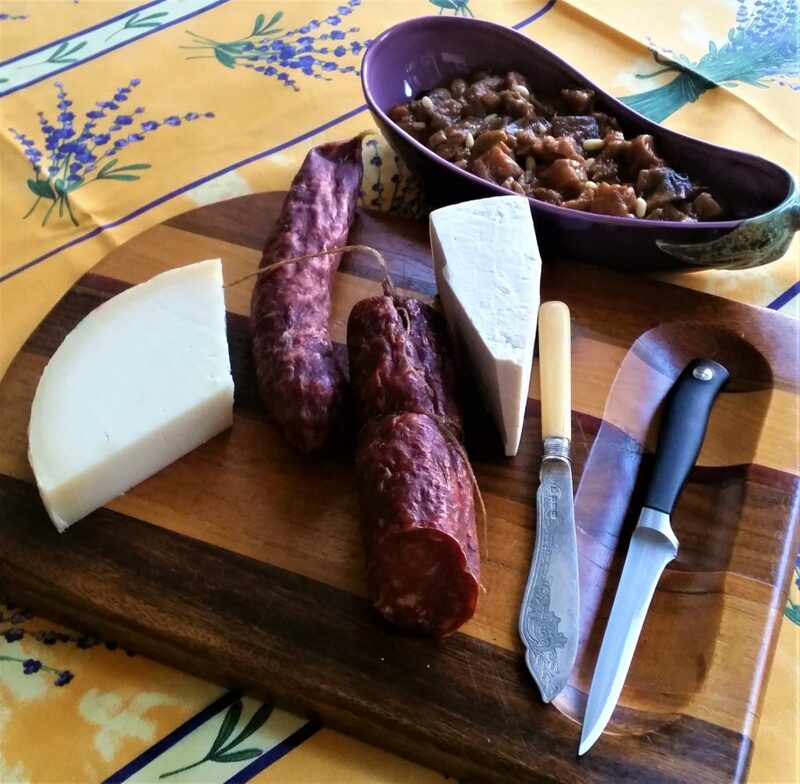 Antipasto – We started with some cheese, suprasade and caponata. 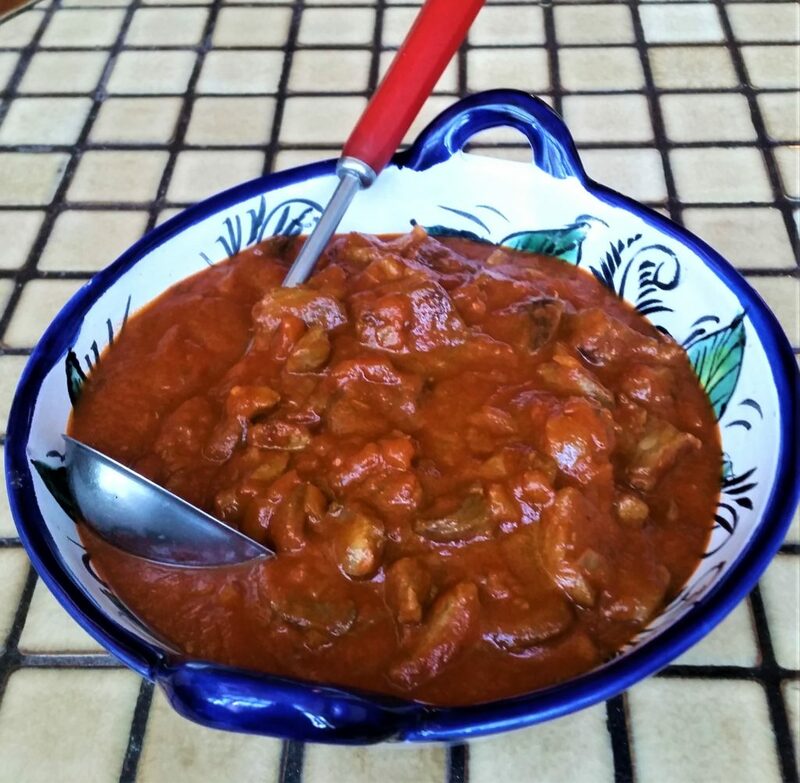 Sunday Gravy – It doesn’t heave to be Sunday for Sunday gravy – pasta and meat simmered in the gravy. This time it was hot pork sausage and beef short ribs. 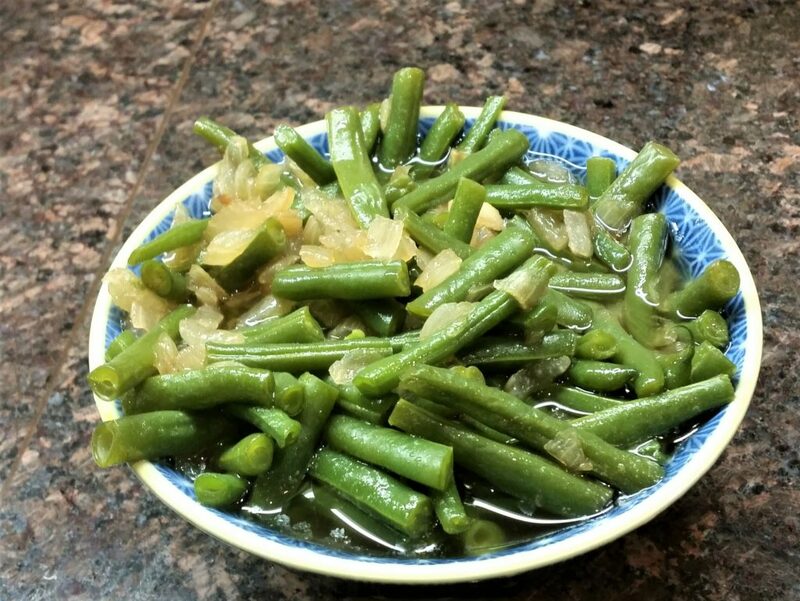 Gladiatore String-Beans – A very old recipe. 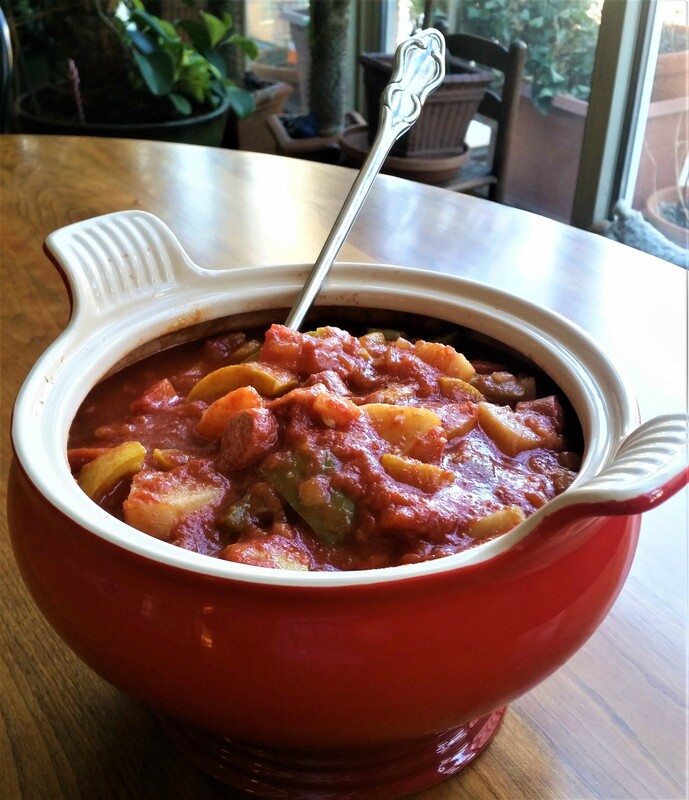 Giambotta – This is a vegetable stew with a twist. 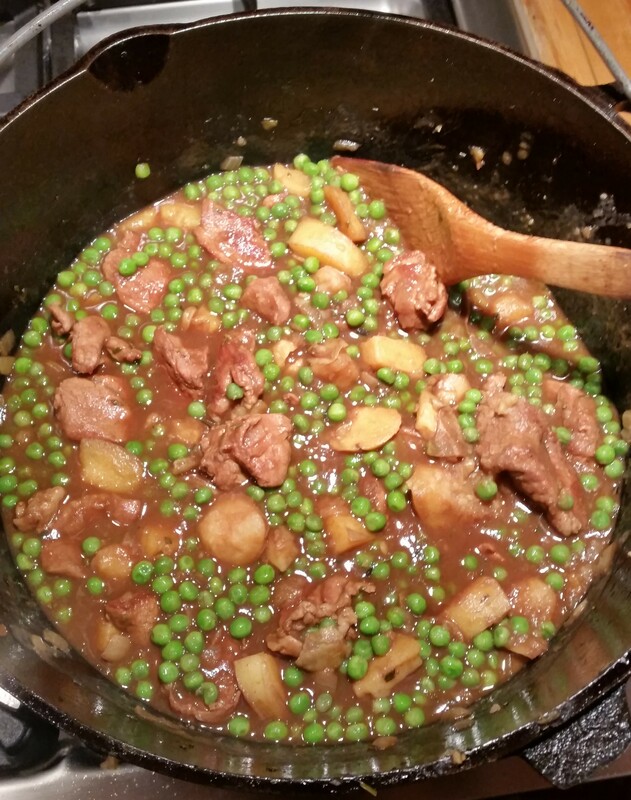 Spezzatino con Piselli – The main course, veal stew with peas. Soufritte – This was one of my mother’s specialties. Her’s was made with beef heart and lungs, and calve’s liver. I use liver but with chicken hearts and sirloin. 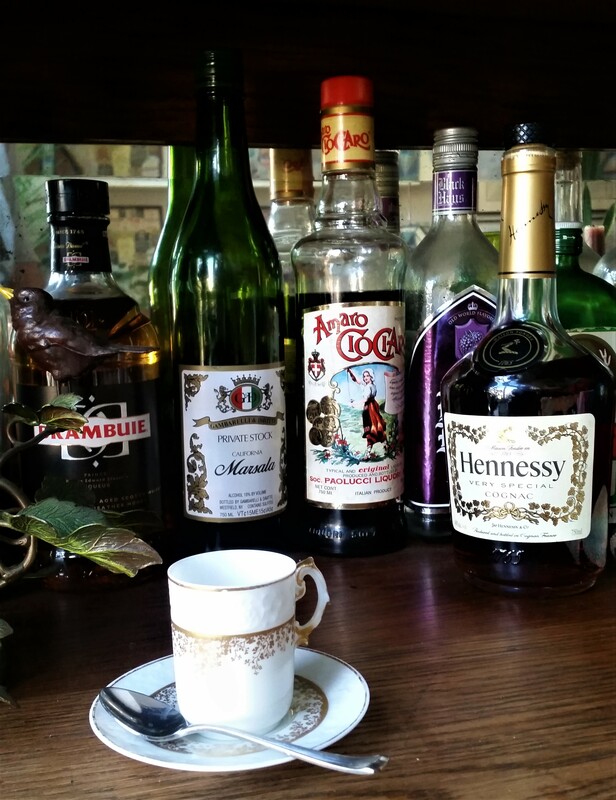 Espresso – How else do you end a meal? Baked pasta is typically made with red sauce. 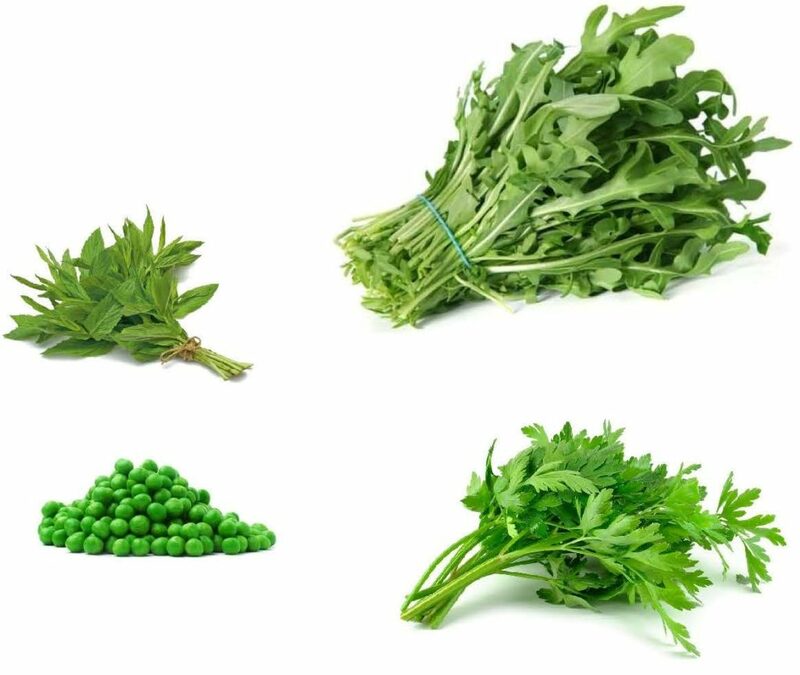 Baked pasta with peas is white and green with no mozzarella. Butter 9” spring loaded pan and dust with Parmesan. 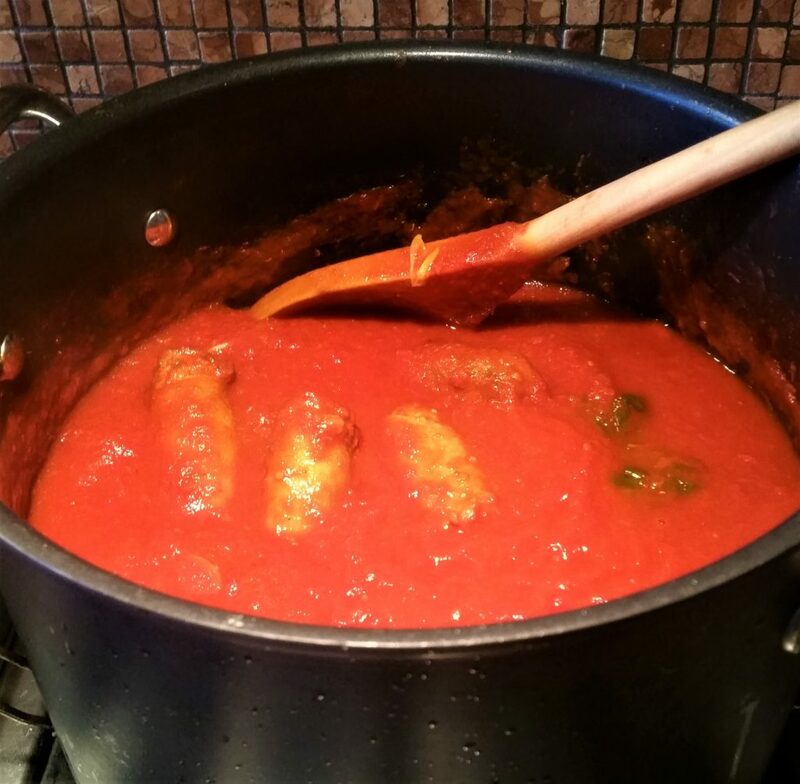 Sauce – Melt ½ stick of butter in a pot and add ¼ cup of flour and whisk until blended. Slowly whisk in quart of milk and bring to a simmer. 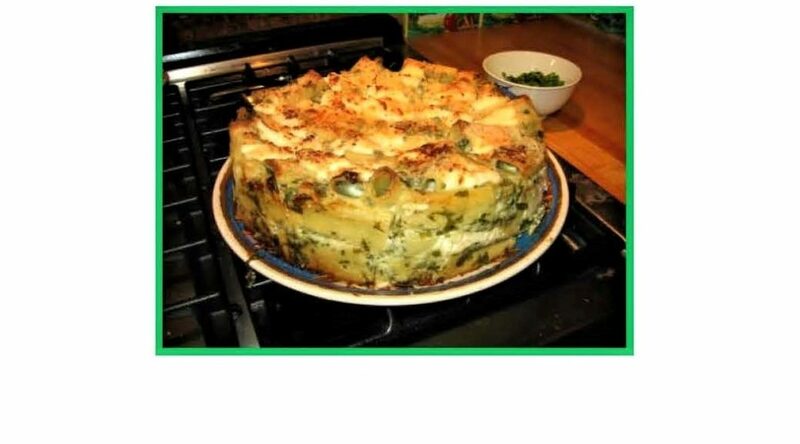 Cook until thickened – whisk occasionally. Remove from heat and whisk in 1 cup Fontina and 1 cup Parmesan. Add egg, whisk and taste for seasoning. Cover & keep warm. Place rack in upper 1/3 of 375o oven. 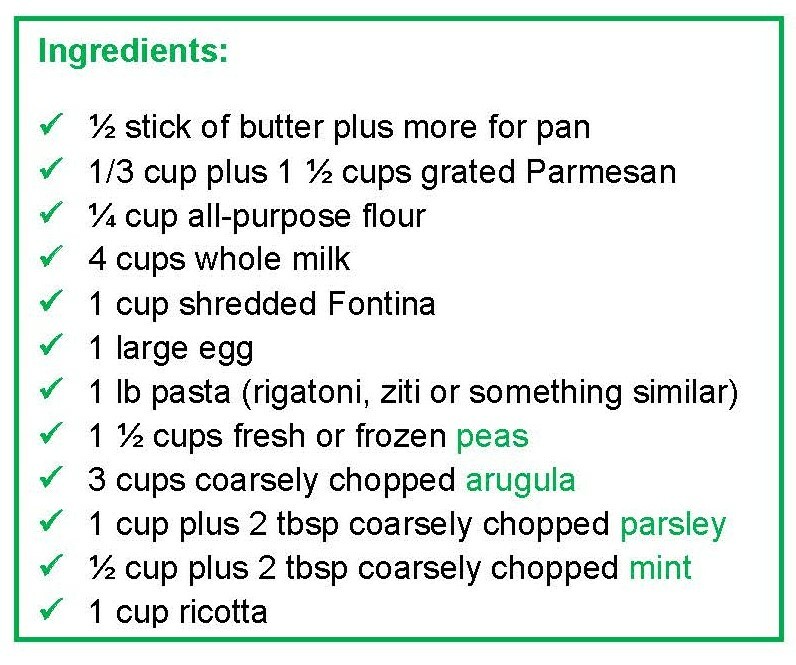 Put ½ of pasta mix into 9“pan and dot with ½ of the ricotta. Put the rest of the pasta in the pan and dot with remaining ricotta and sprinkle with ¼ cup of Parmesan. Bake for 30 min. then sprinkle with remaining ¼ cup of Parmesan and bake for another 10 minutes. Place under broiler, watching closely, for a minute or so to brown top. Let it rest for 30 minutes before removing from pan so cheese can harden. 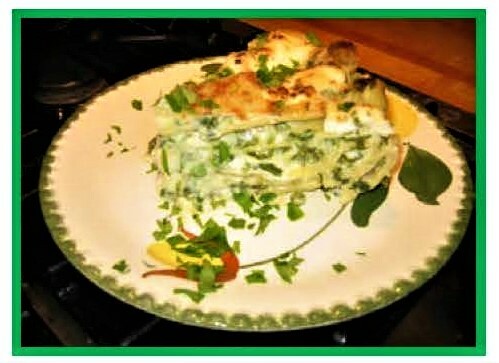 Cut into wedges and sprinkle with parsley and mint.